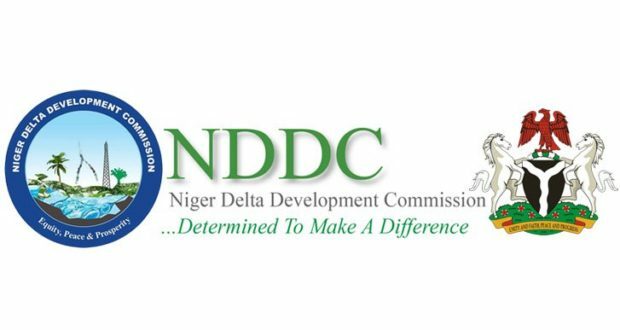 The Niger Delta Development Commission (NDDC), has assured its contractors and consultants that henceforth, their payments would be paid promptly without unnecessary bureaucratic bottlenecks. The NDDC acting Executive Director Finance and Administration (EDFA), Mr. Chris Amadi, gave the assurance when he paid a courtesy visit to the palace of Eze Apara Rebisi of Port Harcourt, Eze Victor Woluchem XII. The executive director said that the new management had resolved to fully discharge the NDDC mandate and intervene in specific projects that would impact on the lives of the majority of the people. “We want to right some wrongs and ensure that never again will our people suffer in the midst of plenty,” he said. He regretted that the ethnic group, with high political sensitivities, never had an opportunity to be on the board or executive level of the NDDC, even from the days of the Oil Mineral Producing Areas Development Commission (OMPADEC). Eze Woluchem, received the NDDC Executive Director Finance and Administration in the company of Nyenwali Isiokpo, Eze Blessing Nwagor and Nyenweli Akpor, Eze Aniele Orlu-Iriebe. The Port Harcourt monarch congratulated Mr Amadi on his appointment, describing it as breaking the glass ceiling for Ikwere people. In his own remarks, Eze Aniele Orlu-Iriebe, urged Ikwerre people to set politics aside and support their son. He advised the NDDC to adopt a bottom-up approach to development so that communities would feel obliged to own the projects executed for them. He added that the commission should shun the practice of abandoning projects. Earlier, the Ikwerre Chiefs and Elders Forum had gathered at a reception for the NDDC Executive Director of Finance and Administration at the Autograph Event centre in Port Harcourt. The chairman of the forum, Chief Sonny Dike, thanked President Buhari and the Minister of Transport, Chibuike Amaechi for elevating their son to an executive position in NDDC.